Distinguishing Characteristics: African-American male. Black hair, brown eyes. Bingham's hair was cut in a short Afro style at the time of his disappearance, and he had a mustache and goatee. Medical Condition: Bingham has schizophrenia. 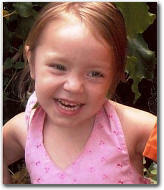 Bingham was last seen in the 500 block of Carplin Place in Cincinnati, Ohio on July 24, 2003. He left on foot and has never been heard from again. Few details are available in his case.